Using Alamoon Color Enhancer you can essentially improve your photos: automatically adjust lightness, contrast and color balance. With one click you will achieve results so good your picture may need no further enhancement. With a rich functionality and range of features, Alamoon Color Enhancer lets you go beyond basic photo editing and achieve professional results. 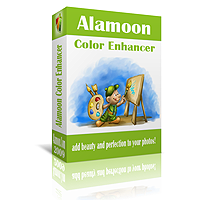 Whether you want to have the digital images corrected on your own or have them corrected automatically your search for such an efficient utility just might end with Alamoon Color Enhancer. The software is capable of making quality corrections at the highest level. With the software it's easy to essentially improve your photos. Trouble free to be used by beginners and the professionals alike, this software can make your images look more elegant than ever before. 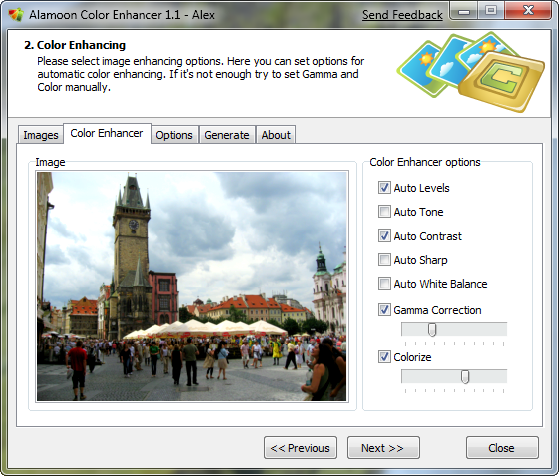 Our photo enhancer was inspired and developed to do one thing, to make your pictures look their absolute best. Do it quickly, affordably, and easily.